﻿ Ice and Altitude diving in Jindabyne – Take your diving to new heights and depths! Ice and Altitude diving in Jindabyne – Take your diving to new heights and depths! Home » Dive Travel » Ice and Altitude diving in Jindabyne – Take your diving to new heights and depths! Take your diving to new heights and depths with the PADI Altitude and Ice Diving specialty courses! This is the ONLY course of it’s kind in Australia! If you are looking for a challenge or to do something that even few divers have done, THIS IS IT!! 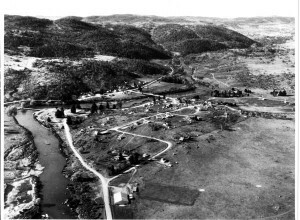 Not only will you be trained to dive under the ice, you will also do your altitude course on a piece of Australian history as we dive Old Jindabyne town in Lake Jindabyne! This is unique in itself as it is one of only a handful of towns in the world where you can dive and even rarer still given it is at altitude! 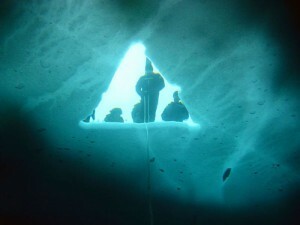 This course is a prerequisite for anyone planning on diving in Antarctica or the Arctic. Any time you’re diving at 300 to 3000 metres/1000 to 10,000 feet above sea level, you’re altitude diving. If you want to explore the hidden world of a mountain lake, the PADI Altitude Diver Specialty course is for you. The Fun Part- Dive more challenging dive sites while you satisfy your curiosity for “I wonder what’s down there?” The fun part about altitude diving is that you can explore places many people have never seen. 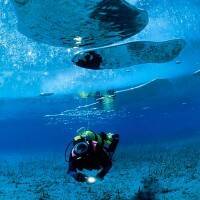 If the spirit of adventure and unusual, challenging diving appeals to you, try diving under the ice. During the course, you dive with your PADI Ice Diving Instructor John Gransbury in one of the most extreme adventure specialties recreational diving offers. The Fun Part- Explore the unique aquascape found only under ice. You can be one of the few that have ever dived under a solid ceiling of ice. Plus, imagine the look on your Divemaster’s face on your next South Pacific trip when you flash your PADI Ice Diver certification. Depending on the thickness of the ice you might get a chance to play with your exhaled air bubbles on the bottom of the ice or an opportunity to try the unique sport of upside down, bottom of the ice, sledding. 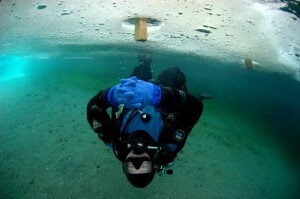 What You Learn – You will complete a minimum of three ice dives for your certification. Dives are typically done as a group working with support personnel, divers, tenders, and safety divers. You are under the ice to learn to control buoyancy, navigate under the ice, and keep in contact with the lead diver and tenders via line pulls. The second reg set will be used on your stage cylinder which will contain 32% nitrox to aid in nitrogen elimination during safety stops. Our adventure begins in our nation’s capital where you will be picked up from Canberra International Airport at midday. From here you will driven to Jindabyne where we will check in to our accommodation and will be given a tour of Jindabyne including surveying the lake and points of interest for the next day. On the first night we will cover the theory for the coming days as well as get an early night ready for the adventure that awaits! Having acclimatised to our new altitude we will do two dives the following morning exploring Lake Jindabyne before lunch to complete your altitude specialty. After lunch we will then retire to our accommodation for the evening to warm up and dry our thermals, hoods and gloves ready for another day of cold water diving. We will also complete the ice diving theory ready for the day ahead! We will head into Kosciuszko National Park where we will do the 3 dives to complete your PADI Ice diving certification. You will have the opportunity to dive as well as play the roles of rescue diver and surface/line tender. The group will be driven back to Canberra by midday so that you can catch your plane back home. Alternatively if you chose to fly out the following morning, I will be more than happy to drive you to your hotel for the evening. Download the booking form attached to the page. Complete the required fields, scan and email to [email protected]. Grey Nurse Shark Overload at Seal Rocks, Forster, N.S.W. Wolf Rock - Grey Nurse Sharks All Year Round!! Sardine Run, South Africa - The GREATEST Spectacle in Nature! Ice and Altitude diving in Jindabyne - Take your diving to new heights and depths! Dive with Fur Seals at Narooma this Easter!